They may not sport a red tail but Qantas will retain a connection with the “Queen of the Skies” after announcing two Boeing 747-8F freighters will join its freight fleet. The freighters will replace two Boeing 747-400Fs operated on the Flying kangaroo’s behalf by Atlas Air and will be painted in Atlas livery. Due to start service in late July, the wet-leased freighters will serve Qantas’s existing network between 10 key cargo hubs in Australia, China and the US. READ: Qantas changed training after 747 upset near Hong Kong. Qantas mark the end of its long love affair with Boeing 747 passenger aircraft when it retires the last plane in 2020 but the association will live on through the freighters. 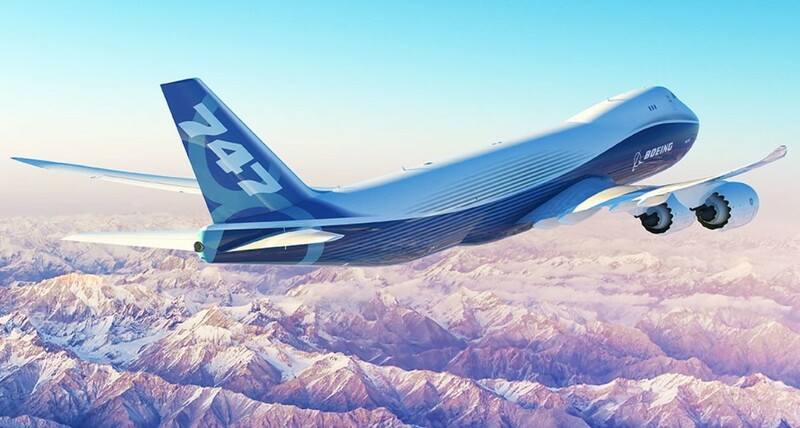 The 747-8 freighters feature a longer fuselage than the 747-400F with up to 20 percent more freight capacity with space for seven extra pallets. Fuel efficiency also benefits from a wing redesign and GEnx engines. Qantas Freight operates 14 freighters and manages belly freight on Qantas and Jetstar passenger flights. Its customers have a choice of more than 5,000 weekly flights to over 80 destinations within Australia and 1700 weekly flights to more than 20 countries internationally. “We are seeing strong growth in demand driven by e-commerce, fresh produce, electronics and mining equipment across our international freight network,” Qantas Domestic and Freight chief executive David Andrew said in Thursday’s announcement. The announcement came as the International Air Transport Association Wednesday released data showing global air freight demand fell 4.7 percent in February compared to the same month a year ago. The Asia-Pacific, the world’s biggest air freight market, was particularly hard hit with February freight-tonne-kilometres down 11.6 percent on last year. The North American market suffered the smallest decline at 0.7 percent, while Latin America was the only region where year-on-year freight demand grew. IATA said headwinds for the freight industry included global trade tensions as well as weakening global economic activity and consumer confidence. “Cargo is in the doldrums with smaller volumes being shipped over the last four months than a year ago,” IATA director general Alexandre de Juniac said. “And with order books weakening, consumer confidence deteriorating and trade tensions hanging over the industry, it is difficult to see an early turnaround. “The industry is adapting to new markets for e-commerce and special cargo shipments. But the bigger challenge is trade is slowing.